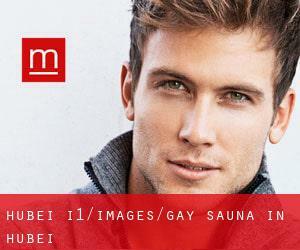 In Menspaces you can find all the info about any Gay Sauna in Hubei, such as schedules, address, telephone number or website. Gay bathhouses are now primarily owned and operated by gays, and have grow to be fully licensed gay establishments which commonly serve as informal gay meeting places, and venue where chums could meet and relax. Customized wall designs with special imagery and luring music are the most arousing functions of any Gay Sauna in Hubei which make the person lose the track of time spent in the location. Gay sauna is a place that agrees with every type of crowd there are hip saunas for the young crowd and there are cultured saunas for more matured crowd both are equally vibrant and impressive with pools, outdoor terrace, busy bathhouse, state of the art wellness facilities and lots more. Some gay saunas are frequented by a mixed and gay crowd by having females and bisexual couples cost-free entrance during some days of the week when presenting massages, various sling rooms and foam baths. Visiting a gay sauna is a very well-known way to meet people and have a excellent time. Over the years it has become a significant tourist attraction within the gay community.